Well, another milestone, Keelan got her first set of wheels today! She got a "Flyer" Tricycle. 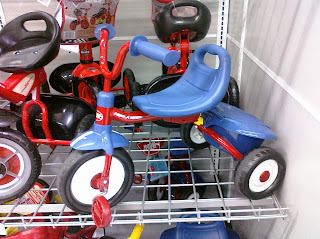 Her new tricycle which she call bicycle is blue. 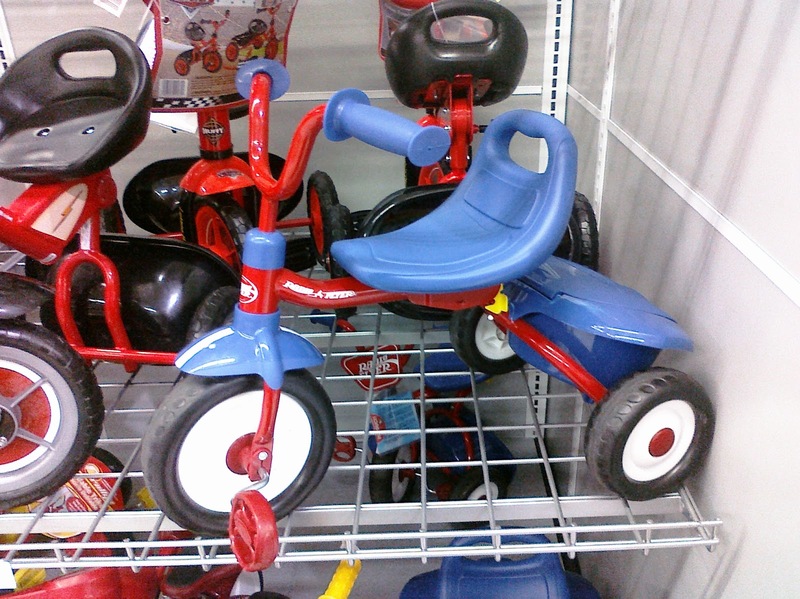 The little compartment on the back is yellow and it comes with a long handle for parents to maneuver the front wheels- in case the litle one wants to run away-. Anyway, she is delighted- has not stop talking about it since we bought it this morning.